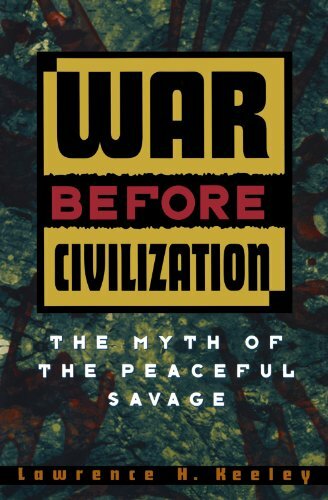 Prehistoric warfare was total war in which victors normally killed all enemy women, children, and adult males, according to groundbreaking research published by Lawrence H. Keeley, in his book War Before Civilization1. Keeley wrote that primitive war was always a struggle between societies and their economies, and warriors carried out that struggle. Rome fielded great armies, in historical time, and sometimes killed whole societies that opposed them. The destruction of Carthage is just one example. After Rome’s decline, Western Europeans preferred to wage war between specialized forces. Initially those were armored noblemen, then mercenaries, and then professionals. Napoleon’s citizen army signaled the beginning of the widespread impressment by European nations of male civilians into military service. Western European nations renounced total war after the Thirty Years War (1618-1648) and fought their wars between uniformed armies and away from major urban areas. Keeley noted that many military historians claim that Grant and Sherman defined the current rules and doctrines of Western civilized warfare. They were only partly right. Grant, Sherman, and other U.S. generals did conduct total war against the Confederacy, but Lincoln gave them authority and encouragement to do that, and modern, western nations’ wars against whole societies began again in North America with his war and the U.S. Army. One example of Lincoln’s support of total war must suffice here. It began in April 1862, when Col. John Basil Turchin, a former Russian officer, encouraged his regiment, the 19th Illinois Volunteer Infantry and also the 24th Illinois, to commit atrocities against the citizens of Athens, Alabama. Turchin’s troops, many drunk, attacked the town’s 1,200 residents, and stole from stores and private homes, and burned private buildings. They sexually attacked both black and white women, and civilians that resisted were taken away at bayonet point. One pregnant white woman miscarried and died after she was gang raped. In the weeks after the Athens atrocities, Turchin continued to openly disobey orders to protect all private property and ordered his men to burn the nearest farm house when they were fired at from an ambush. Turchin’s methods appealed to Lincoln because though U.S. military forces had been able to overwhelm the Confederacy with superior numbers and weapons, they had not been able to defeat Confederate armies. As a result, Lincoln introduced total war against Confederate society, with war crimes against civilians and POWs, and theft and destruction of enemy property, as standard operating procedures. From that experience the U.S. learned that violence towards enemy civilians and destruction of enemy civilians’ property was an important element in winning a war. 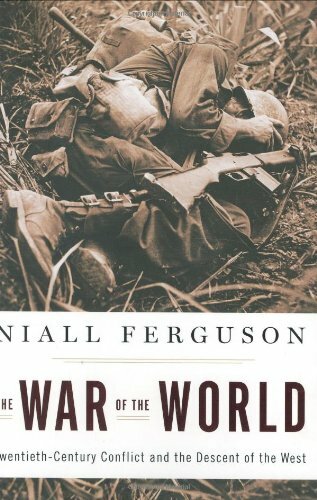 Keeley wrote that, “It was not until World War II that the rest of the civilized world followed.” In fact, not all Western and Central Europe nations avoided total war, from the mid-1600s until World War II. Both the U.S. and U.K. conducted total war in decades after Lincoln’s War and well before World War II. A few examples must suffice here. From the 1860 until the late 1870s, the U.S. slaughtered Indian men, women, and children to clear the northern prairie for white settlement and restrict Indians to reservations. From 1899 until 1913, the U.S. Army killed 300,000 Philippinos, and used concentration camps and torture to conquer that country. During their Second South Africa War, from 1899-1902, when their army of 500,000 men was unable to beat about 40,000 Afrikaaner farmers, the U.K. carried out a scorched earth policy in the Afrikaaner republics and forced women and children into concentration camps where more than 26,000 died from hunger and disease.